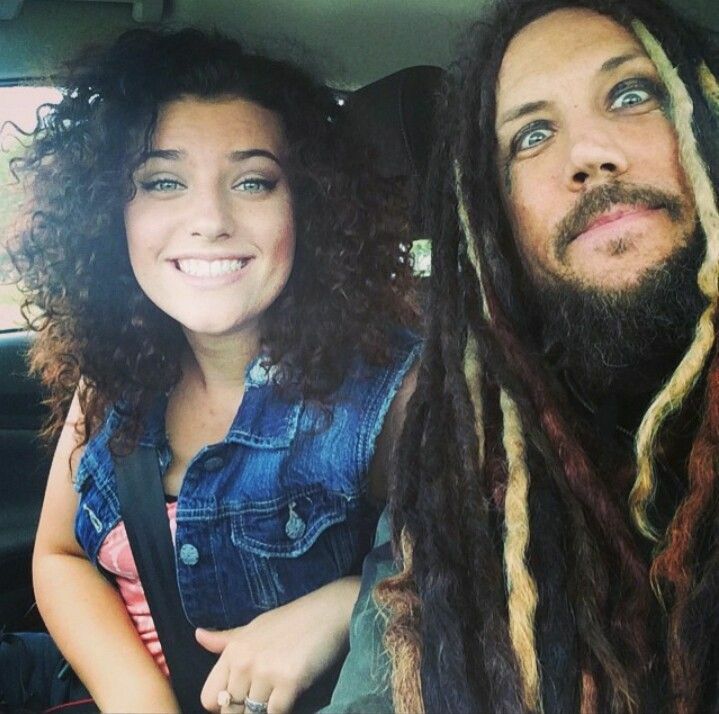 One of the first things that Brian “Head” Welch told me in my interview with him was that his daughter was going to graduate high school. I could hear how proud he was of his daughter in his voice. To me that is a Life of Dad moment. Just as in anyone’s life, Brian has had his ups and downs. 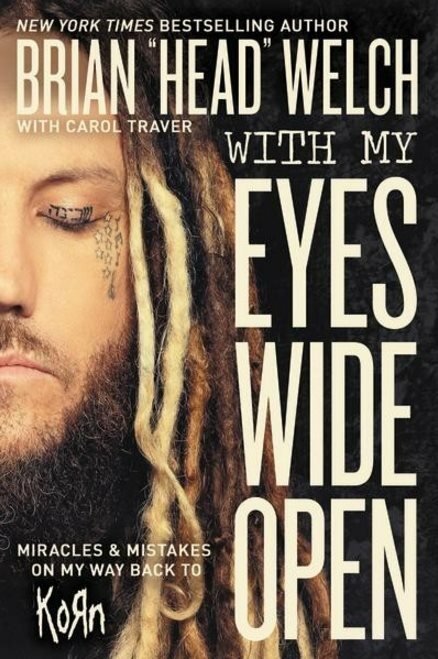 Welch, who is one of the guitarists and a co-founder of the band KoRn had a life-changing spiritual awakening. 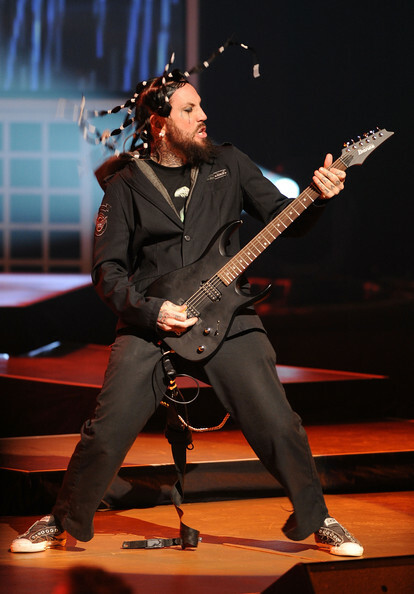 It freed him from a stronghold of drugs and alcohol and prompted him to leave KoRn in 2005. What followed was a decade-long trial by fire, from the perils of fathering a teen lost in depression and self-mutilation to the harsh realities of playing solo and surviving the shattering betrayal of a trusted friend. In this intensely inspiring redemption saga, perhaps most inspiring is Brian’s radical decision to rejoin KoRn and reconcile with the tribe of people he once considered family in the metal music scene. Brian returned to his musical roots with a clear head and a devoted heart. Brian found that God will love you into the freedom of being yourself, as long as you keep the relationship going and never, ever quit. Welch talks about this and so much more in his new book, With My Eyes Wide Open. I had the great pleasure of talking with Brian about his new book, his music and most importantly his relationship with his daughter. Art Eddy: Your book With My Eyes Wide Open recently came out. In it you discuss leaving KoRn, your relationship with your daughter, finding God, your issues with drugs, and how you reunited back with KoRn. At what point did you realize that you wanted to share your experiences with your fans? 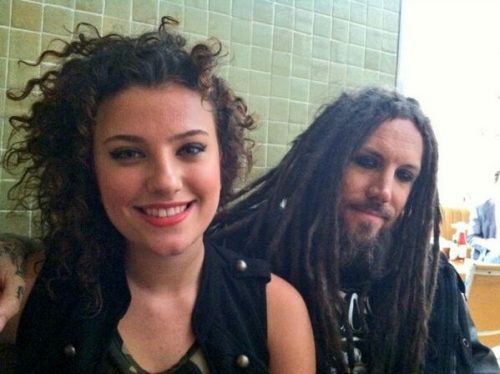 Brian Welch: It was always my management. When I left KoRn I had a manager at that time who said, ‘You really need to share your heart. It has been real controversial for you to leave. You need to share your heart.’ So I wrote my first book, Save Me From Myself. Same thing happened when I returned to KoRn on 2012. It caused controversy. People were upset. Most of the people supported me and were excited. My new manager, who I have now, said to me that one his best friends is in the book industry. They were talking and it would be a good idea for me to share me heart. So that is what prompted it. AE: What is the number one takeaway you hope people will have once they finished reading your book? BW: We all have to face things that we need to overcome. Maybe it is a financial situation. Maybe it is an illness. Maybe it is a death even. We have to overcome it. What I want people to understand is that if you find that main treasure of life who is God, who is hidden like all treasures. Just like all treasures you have to go search them out. God is like that. He is a hidden treasure. If you walk with Him you can get through anything, even death. Everything gets turned around for good. That is what I share in my book. I went through so much. I lost so much. After I left KoRn I went through so much loss. Everything got turned around for good. I can actually say with 100 percent confidence that I am glad that I lost all of that stuff. I got to see that everything is okay no matter what. It gives you a strength inside that makes life that much more bearable and easier to walk through. AE: Were there moments or stories that you second guessed on about putting into the book? BW: This book not so much. There were a couple of things that I felt like a fool. My financial stuff. I was letting someone take advantage of me. Some of that stuff was where I felt foolish. I think it is good to share all of that stuff because it all gets turned around for good. My first book, definitely. There were spots in my first book where I was like how can I say this? My mom is going to read this. It was gut-wrenching, but I knew that it was going to help people. I would tell all with my personal life. It was like a confession almost. It was really liberating to do that, but it was difficult. I almost pulled some of the stuff out, but I decided to keep it in any way. AE: What does your daughter think of the book? Did you two talk about her thoughts on what stories could be shared in the book? BW: Oh my gosh, yeah. If she wasn’t okay with me sharing some of the stuff in her life the book would probably have been a two chapter book. I didn’t know what I was going to write about. We have a counselor. She is actually has been in a boarding school for three and half years. It is the most awesome boarding school for girls ever. They live in a big house and they have this big huge land. The people that run it are like family to me. I bought a house near it. I got permission from my daughter to share her personal things. She went through depression, suicidal thoughts, and self-harm. It was agonizing. Every fear that I had being a dad like with boys and wanting to do drugs I have faced with my daughter. They were the exact things that I prayed against for that I didn’t want my daughter to go through. She allowed me to share those things. There were a couple of things that she had me take out because they were personal or that she didn’t want people to read about. For the most part all of it is in there. She was really brave and I am proud of her. AE: Switching to fatherhood now, what are some of the core values you looked to instill in your daughter as she was growing up? BW: The main thing is to trust. To have that peace that everything is going to go and turn around like it is supposed to. Forgiveness is a big thing that I want her to learn. Forgiveness for her parents because her parents have not done the best job raising her. Both me and her mom. I want her to learn forgiveness big time. Forgiveness sets you free. It is for you and not for the person you are forgiving. And faith. All of that stuff combined will produce a very productive life. AE: What is one thing that your daughter taught you that you will always take with you in life? BW: Oh wow. She taught me how to grow up. (Both laugh.) I was out of high school and the next thing you know is that I was in KoRn. We were given a career where we didn’t have to grow up. Being with my daughter taught me how to mature and become that person that I am supposed to be and should have been like two decades ago. She has taught me a lot more than that, but that is just what comes to mind right now. BW: Just enjoy the journey. Try not to get stressed out. It is not going to be easy. I was talking to my friend the other day. We are handed trials and happiness. It is a good balance. Try to stay at peace and be patient with the kids. They are going to be different at two years old, different at five, different at eight, different at ten. They just keep changing. Just like we all do actually. I am a different person than I was ten years ago. I would tell them that as they grow up if they get into stuff that my daughter did I would give the advice of tough love. When my daughter fell into some stuff she was 14. I only had four more years before she was out on her own basically. I had to choose the gut-wrenching decisions to send her away. That was tough love. I watched her brake in front of me in order to see her heal. BW: Father of the Bride is a great one. Elf. (Both laugh.) It is just too good. I can’t get enough of that movie. I seriously can’t. Ace Ventura, the second one is a good one for me and my daughter. There are a couple of scenes where I am like okay I am watching this with my daughter. It is awkward. Other than that the humor is just so amazing. Then there is Happy Gilmore as well. BW: We like so many songs. She likes to dance with her friends. I am not really a dancer. A Day To Remember is both her and my favorite band together. If we wanted to listen to music we listen to A Day To Remember and a band called Marmozets. AE: At what age did you know you wanted to be a musician? BW: Ten years old. I got Back in Black, AC/DC. When I heard, (sings) ‘Back in black’ and I heard that guitar I was done. I saw Angus Young and I just wanted to bang my head for a living. So definitely ten years old. AE: What is the best place for someone to check out a concert? BW: Brazil or Mexico. If you want to see how spoiled Americans are with music. I love you Americans. I am an American and I love everybody. These countries are so in love with music. They just show it with their voice and their bodies. They just go nuts. You feel like they really appreciate you taking the time to go to their country. Amazing concerts over there.